image credit: from linkedin post. Change loss and inspiration from the blogs around us. Life hands us a lot of opportunity to deal with change. in many forms. In welcoming new into our lives as well as saying goodbyes. Sometimes at the same time, sometime the same event is both, regardless we enduring a lot of it. The birth of a child and becoming a parent, the loss of our own parents, new jobs, lost jobs, health conditions, marriage, divorce, a new pet, a new iPhone 6 or blackberry passport. Our lives fail to follow a linear path but rather amble along and sometimes in loops. we stumble at times. sometimes we fall flat on our face, but life is not the destination, it is the journey. This Mommy blogger put the experience of becoming a parent so eloquently and succinctly. The message I left with is one I try to apply widely to my life: it is hard, it is work, but it isn’t hard and it isn’t work, it is what it is and that is OK. When I think of change, I often associate it with loss, even positive changes feel like they come at a price. It is hard finding the balance between these two at times. This year as I have mentioned I experienced a loss, a major loss, the breakup of a future marriage. 4 years ago I experienced another major life change, the birth of twins. In the in-between I have lost 2 grandparents, have seen my own health suffer, have gained new skills, promotions at work and moved, just to name a few. Lots of change! Add to that, the simple truth that having children means living constant change. When thinking about the post on parenting and my interpretation of change as loss, I thought of the post I read recently on the crossroads which brought the concept of loss and the emotions we go through home for me this week. Religiously, it s a time of renewal (rosh hashanna) and repentance (yom kippur). It is also the hebrew calendar anniversary of his proposal. Loss, I am feeling it. It is making this a very difficult holiday because I want to be happy. But maybe, like other things in life, it is what it is and that’s ok. for now. 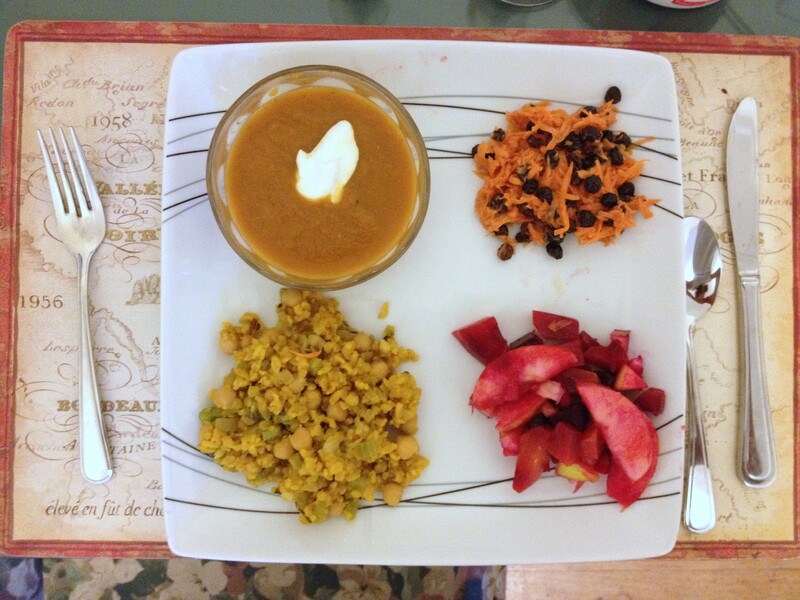 In the meantime, in honour of the change of fall, check out this fall themed meal we had for dinner!